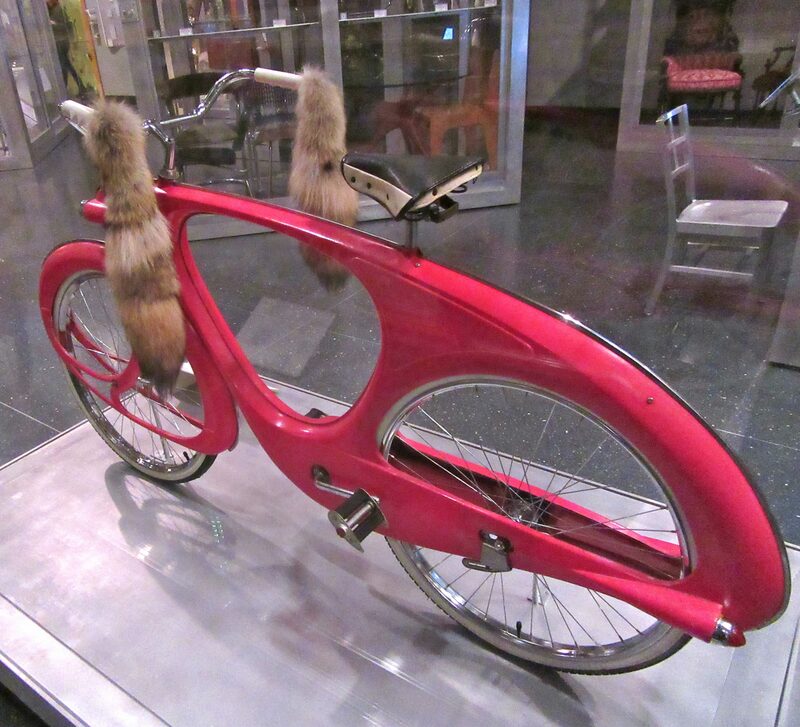 Designed by Benjamin Bowden (1907 – 1998) the aluminum prototype for this futuristic Spacelander bicycle was handmade by the MG Auto Company in England in 1946. The original design incorporated an ingenious dynamo that stored the downhill energy and released it on uphill runs. 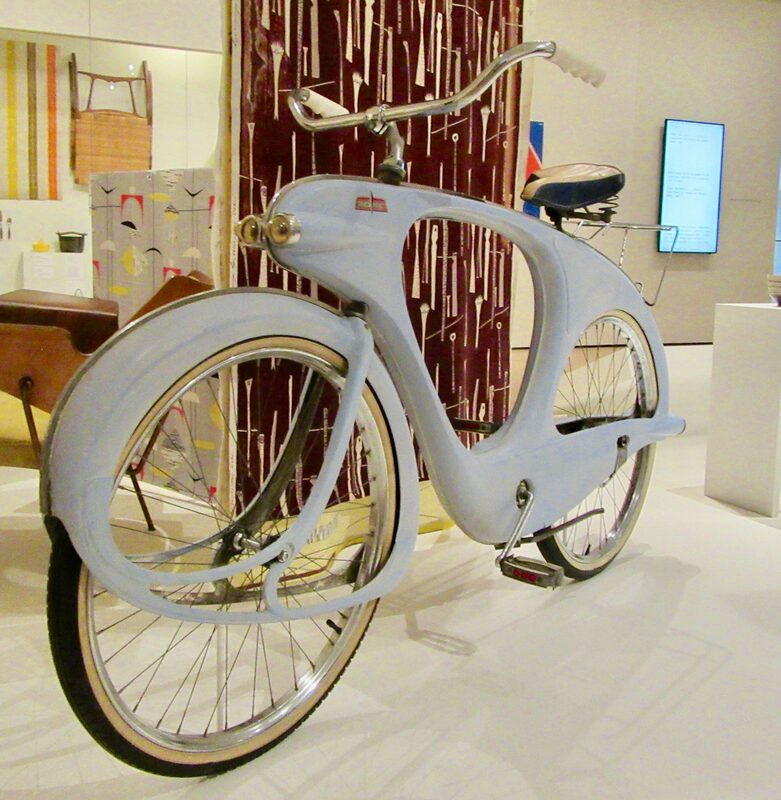 Manufacturing the bike to-spec for consumer use turned out be prohibitively expensive, but in 1960, Bowden contracted with Bomard Industries in Michigan to produce this more mechanically conventional, one-speed version of the dynamic, organic design fiberglass, a new design material. 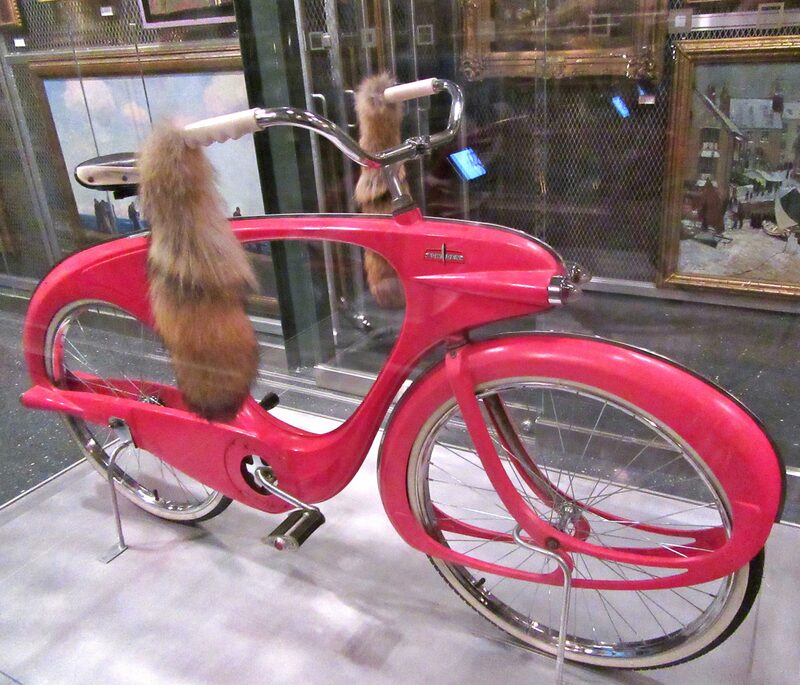 Ultimately, the endeavor was too costly for Bomard Industries as well, and the firm went out of business after manufacturing only 522 examples. 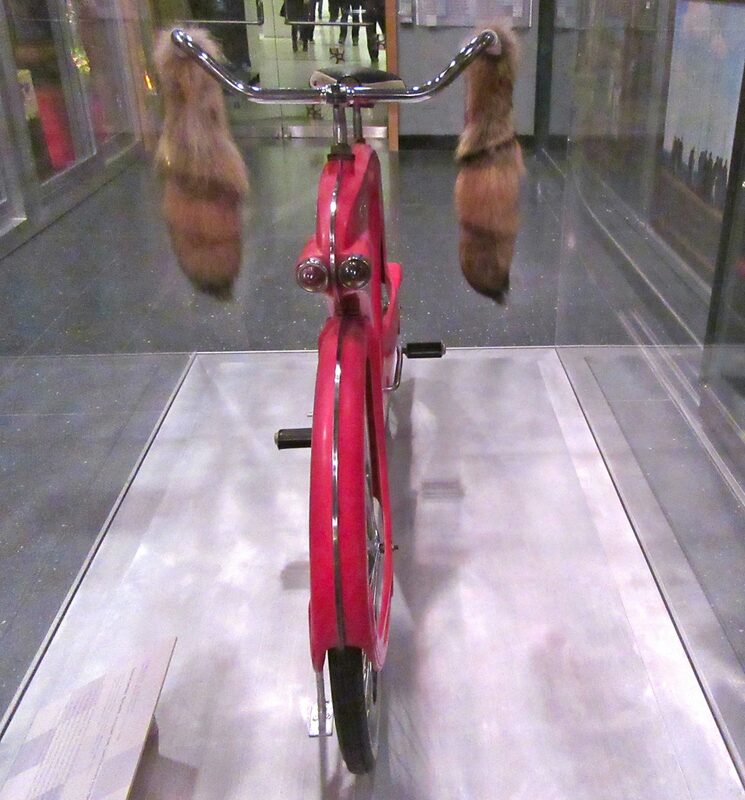 Photographed in the Brooklyn Museum’s Visible Storage Archive. 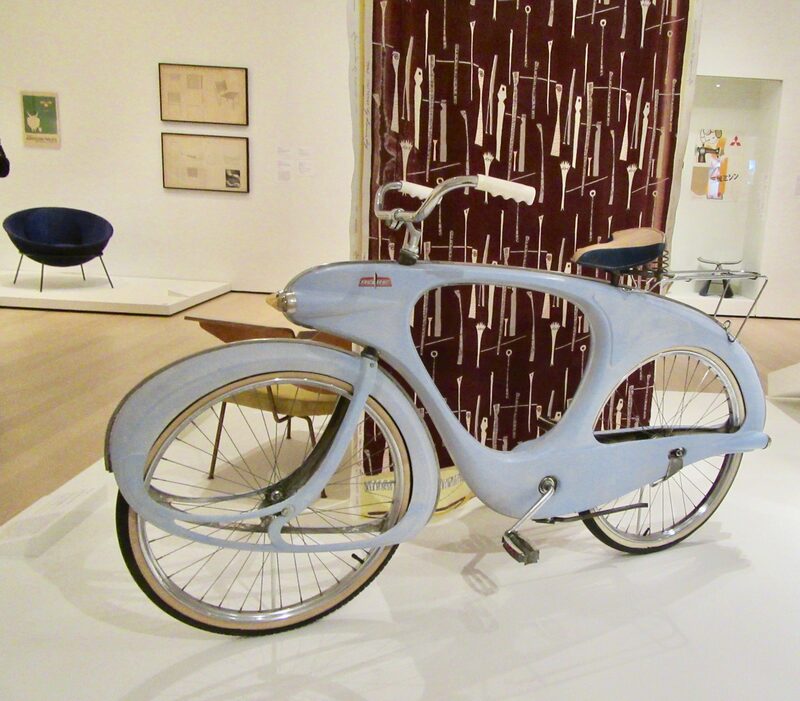 The Below Images of a White Spacelander Bike, Photographed at the Museum of Modern Art, Were Added to This Post on April 6th, 2019. 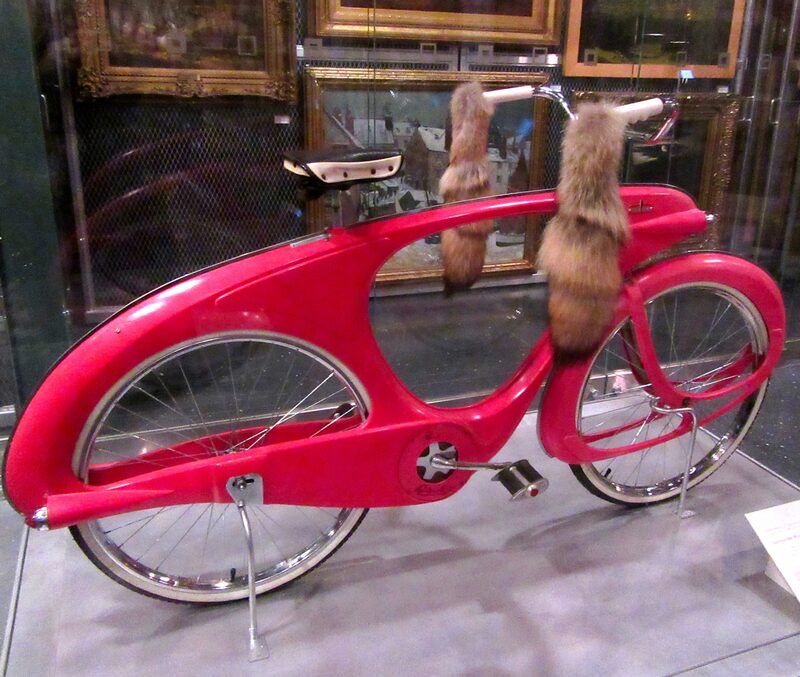 From the 2019 Exhibit, The Value of Good Design.